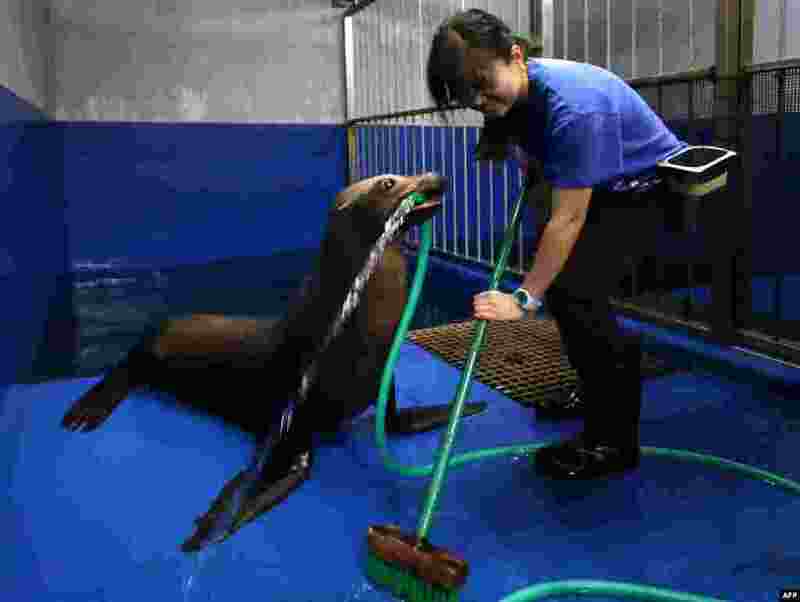 ١ Female sea lion 'Sarasa' holds a hose with her mouse to help a trainer clean her room at the Shinagawa Aqua Stadium aquarium in Tokyo, Japan. 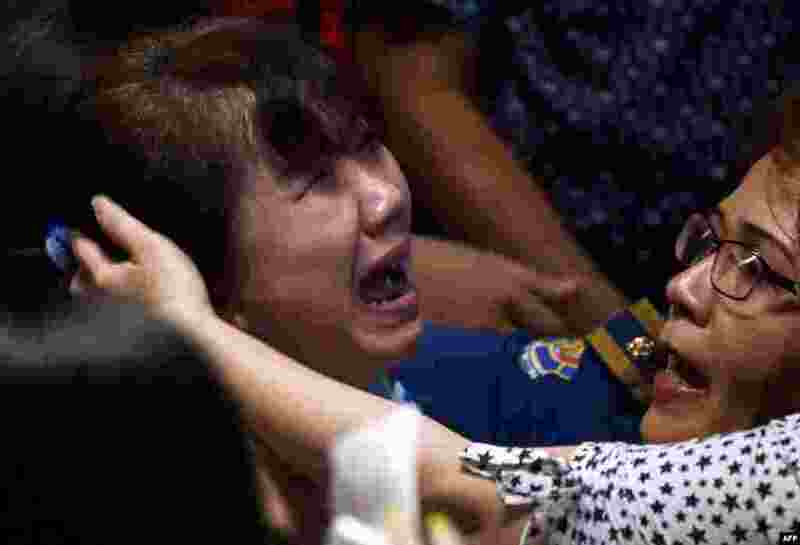 ٢ Family members of passengers onboard the missing Malaysian air carrier AirAsia flight QZ8501 react after watching news reports showing an unidentified body floating in the Java sea, inside the crisis center set up at Juanda International Airport in Surabaya, Indonesia. 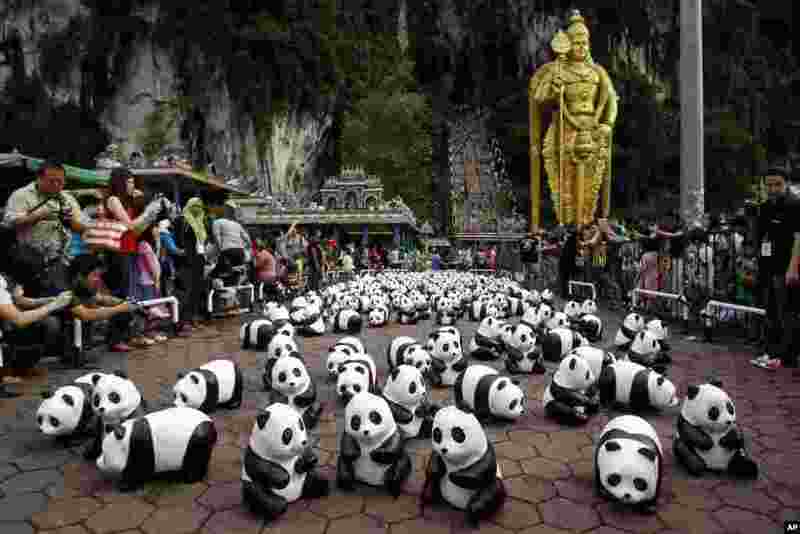 ٣ Part of the 1,600 paper pandas, created by French artist Paulo Grangeon, are displayed in front of a giant statue of Lord Murugan during the month-long "1600 Pandas World Tour" at Batu Caves in Kuala Lumpur, Malaysia. ٤ People ride past a road damaged by flooding at Kuala Krai in Kelantan, Malaysia. 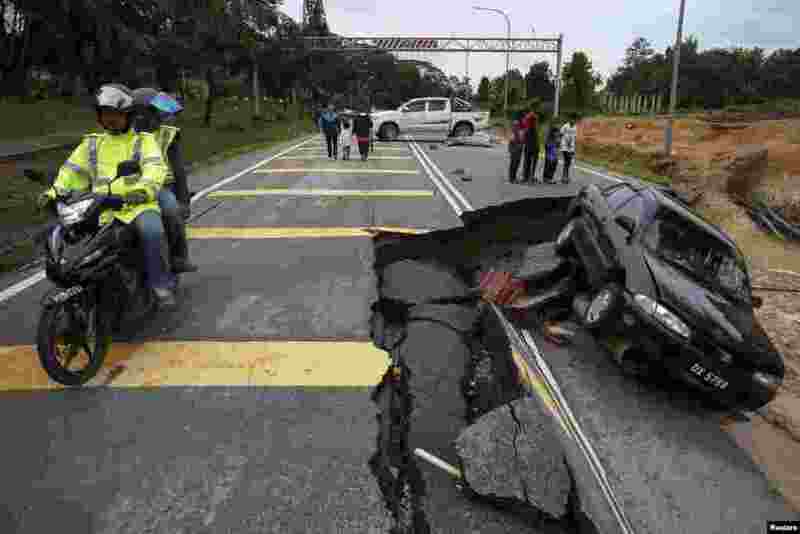 The worst flooding in Malaysia in more than a decade has killed 10 people and forced nearly 160,000 from their homes and more rain is expected, authorities said.